We limit the size of classes so everyone gets more individual attention, so we do encourage you to reserve your spot ahead so that you do not miss out. You are welcome to try your luck as a walk in if you wish. 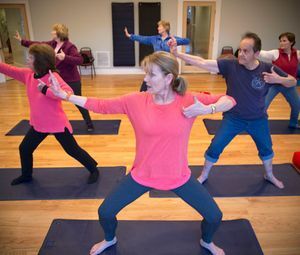 The chair classes can only accommodate 15 in each class, and with our yoga or chi-gong classes, we like to limit 12 per class. Please book ahead for our group acupuncture sessions, space is limited. Acupuncture fees posted here. Pay for 9 classes and get 1 class free!